What should be changed to prevent this? You don't mention in your question how you produced the string instead of the number. You mustn't redefine \thechapter, or all references pertaining to the first chapter will have the string ONE. 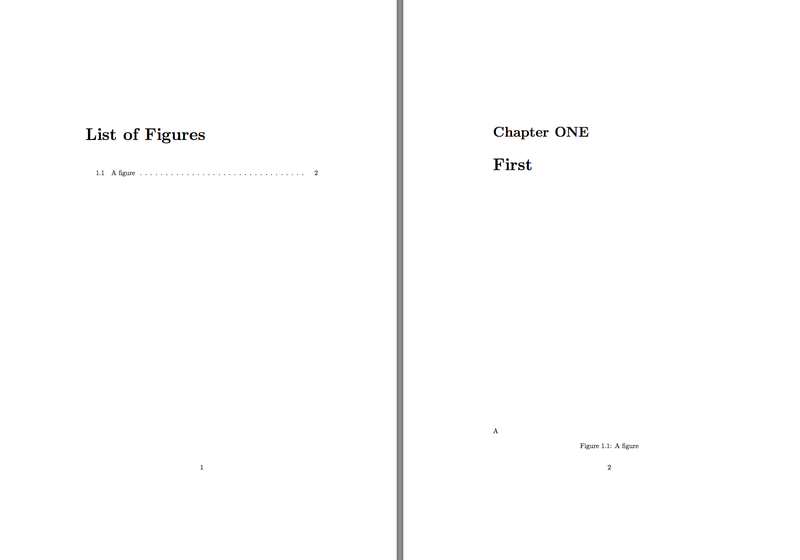 If you want to have “CHAPTER ONE” in front of your chapter title in the table of contents, you need to patch also \@chapter. 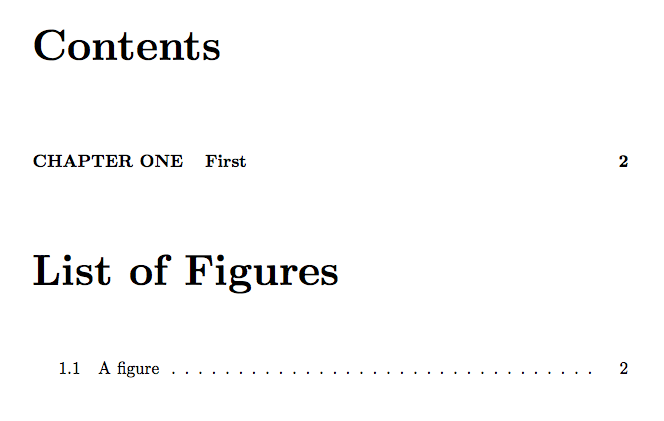 Note that you need \cleardoublepage before \listoffigures, if you want it in a new page. For showing the output I did not add it. It shouldn't modify any cross-references using the chapter counter. It is multilingual for a small number of language thanks to the \FCloadlang command. How to tweak the LOF and LOT without using any packages? What to renew to change LOF/LOT links?